I'm always on the lookout of how to wear my wardrobe staples in new ways. Here are some easy summer styles that are anything but boring, all by the fabulous @andatittude. 1. 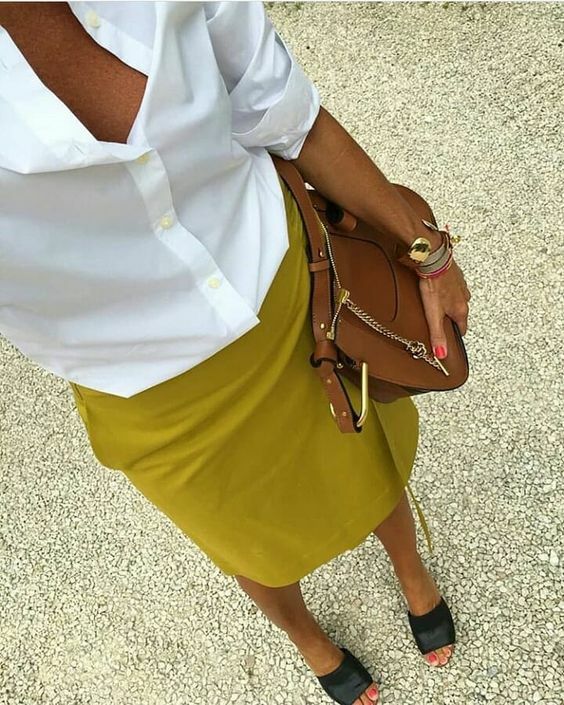 White shirt and skirt with a colorful bag and black heels. This outfit would also look good with white jeans. 2. Jeans, white shirt, block heels with some brown color and brown belt. 3. Black A-line skirt, white shirt, jean jacket and sneakers. Fun bracelets are a great addition of color. 4. Black dress or skirt and top with white heels. 5. Any fun color skirt, white button down, black or brown sandals and bag. I'm absolutely obsessed with her style and would love to wear simple things this well.